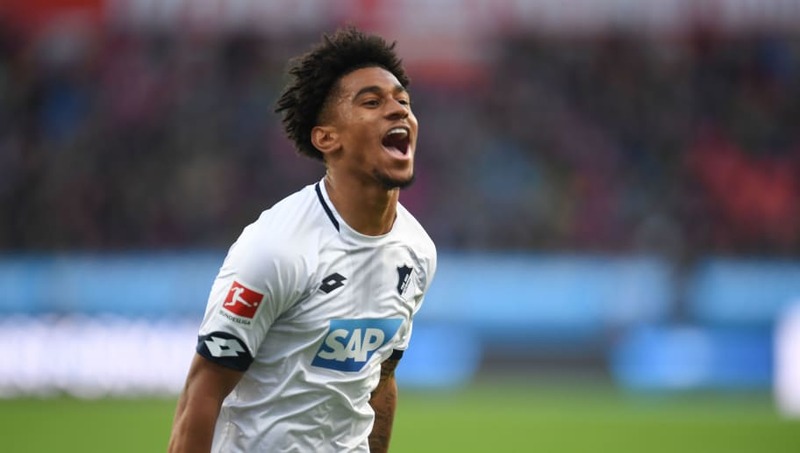 Arsenal loanee Reiss Nelson could be in line for his first call up to the England national team, with Gareth Southgate impressed with the youngster's progression at Hoffenheim. The 18-year-old has five goals and one assist in six Bundesliga appearances so far this season, and has also tasted 55 minutes of Champions League action for Julian Nagelsman's side. This form, paralleled alongside that of Jadon Sancho in Germany, and his impressive outings for England last month, have pushed Southgate to consider calling up the Arsenal forward. Elsewhere, the fitness of several Tottenham and ​Liverpool stars remains a concern for the Three Lions, as reported by the ​Mirror. Joe Gomez has been afflicted by an achilles injury of late, though he did come on at half time during Liverpool's 2-0 defeat to Red Star Belgrade on Tuesday night, so it is hoped he will be okay by the time the friendly clash with the USA roll around on 15 November. The Spurs midfield duo of Dele Alli and Eric Dier are also facing late fitness checks. Dier has been absent from both of the north London side's most recent match day squads, while Alli has only recently recovered from a hamstring issue. The 90 minutes he completed against PSV Eindhoven on Tuesday night will no doubt boost his chances, however. The England manager is expected to retain the majority of the youngsters he named in his last squad, though Derby's Mason Mount could be one to miss out in lieu of the renewed fitness of Alli, ​Jesse Lingard and Adam Lallana, who will all be vying for a place once again. England will face the USA in a friendly on the 15 November, before taking on Croatia at Wembley in a crucial UEFA Nations League clash on Sunday 18 November.